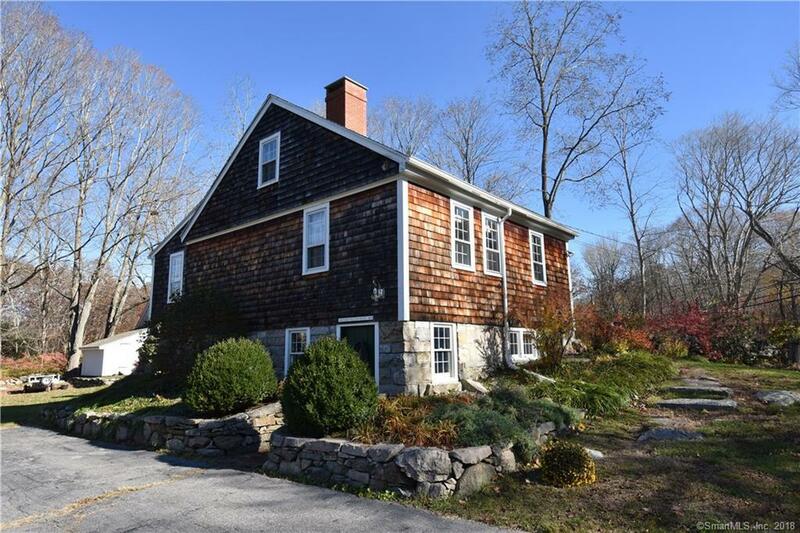 111 North Stonington Road, Stonington, CT.| MLS# 170141072 | Eastern Connecticut - Homes for Sale...from Mystic to Moosup & More ! From the Shore to the Country ! Absolutely charming Antique Cape Cod style home. Originally built in 1685, retaining most of the original character home as been nicely updated and lovingly maintained. Beautiful wood floors. Center chimney with 4 fireplaces. First floor has eat-in kitchen, family room with separate office / library, bedroom, full bath and laundry area. Second floor has 1 or 2 bedrooms, depending on how it is set up. Full walk-out basement is nicely finished and has 1/2 bath. Property has an out building with electric, heat & A/C - is currently used as a wood shop but would make a nice artist studio or home office. Sitting on .85 acres of beautiful plantings. This property is in wonderful condition and a pleasure to show. Directions: Off Rte 184, On The Corner Of Lantern Hill Rd And N. Stonington Rd.